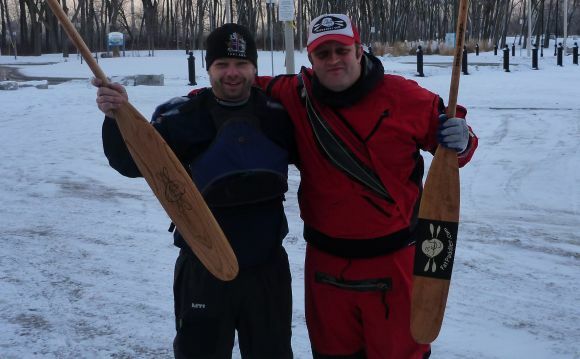 At the beginning of the year I was lucky enough to travel to Canada where I picked up a number of canoe paddles from the man who makes them himself, Mike Ramsey of Badger Paddles. 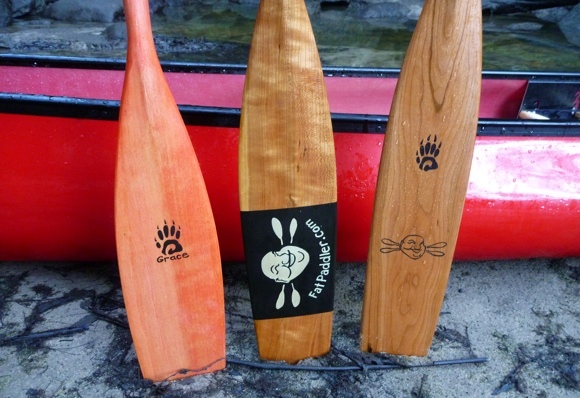 In my package were four paddles – a custom Sliver in cherry, a custom Tripper in cherry and two small Cub paddles with my daughters names painted on them. I’ve used them now a fair bit over the past few months but decided to spend a full session on the water really playing with them. 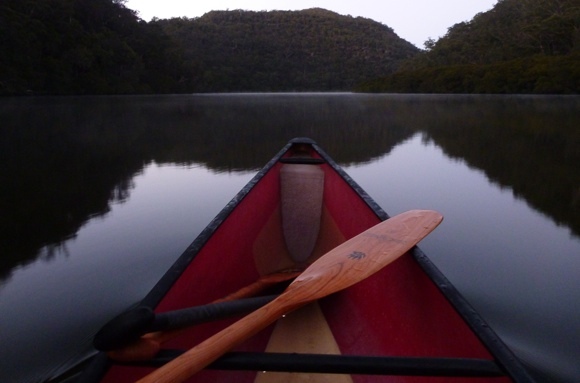 I pushed off in my Wenonah Encounter solo canoe at Berowra Waters at 5.30am, in the darkness and with the thermometer recording -1C degrees! 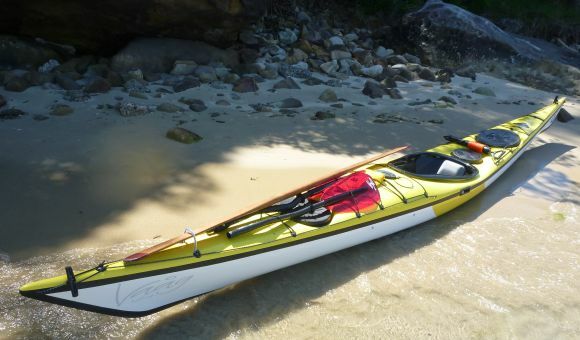 The goal was to power up into the Berowra Gorge ahead of the dropping tide, before turning around for a leisurely cruise back, with a planned stop at my favourite hidden rock pool. For the run upstream against the tide, I settled in with the Tripper. 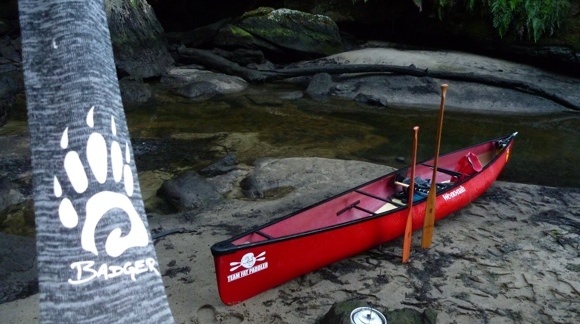 It’s a beautiful paddle that bites the water well giving a good sense of power, but with its tapering end still feels smooth in the water and gentle on the shoulder. I found I could really get the Encounter up to a fair speed with it, pushing lots of water as well as giving me lots of steering control on the J-stroke. 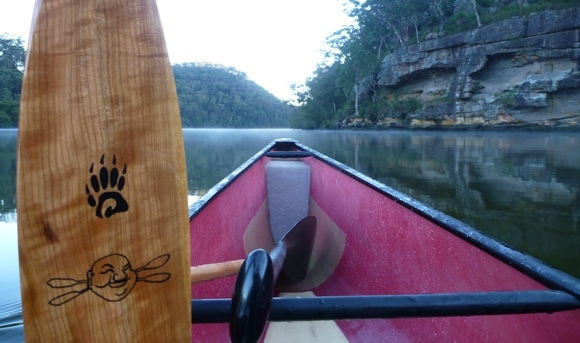 The cherry is a stunning timber but does make the paddle a touch heavier than some of my other canoe paddles, but then I did ask for them to be made strong. The grip is comfortable in the hand and gives plenty of control. 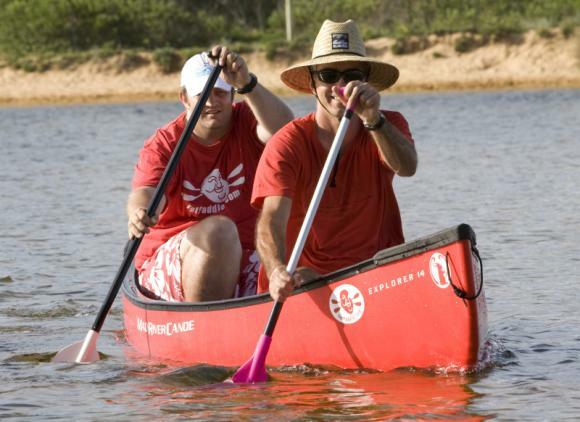 The only area I found the paddle to struggle with was during the recovery stage of an Indian-stroke, where I found the shape of the paddle made controlling it through the water difficult. Once I arrived as far upstream as I could get I turned for the leisurely cruise back downstream, switching to the Badger Sliver. The shape of this paddle is magnificent, with each stroke being virtually effortless. It has the same grip as the Tripper and is similar in many ways, except that the slender shape makes Indian-strokes incredibly easy, so much so that I found myself using an Indian-stroke for many kilometres as I enjoyed the beauty of the gorge around me. 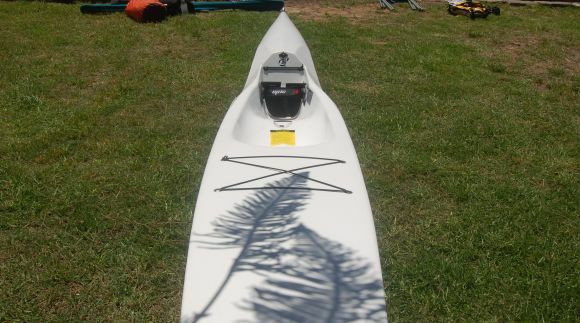 The paddle definitely lacks the bite of the Tripper and pushes far less water, but its ease of use and the smooth slide through the water make it incredibly attractive for cruising. 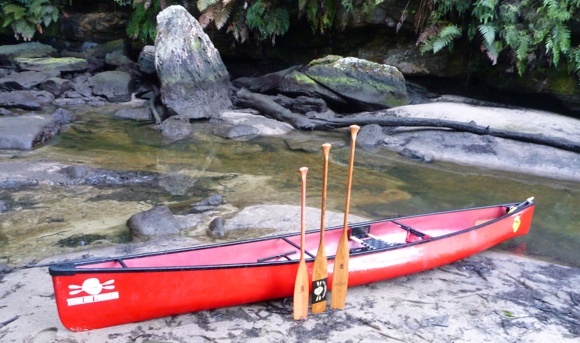 And lets face it, not all canoeing is about pushing your boat hard, many of us prefer the slow explore and cruise, which this paddle is absolutely perfect for. The Badger Cub paddles are clearly not designed for big fat men such as myself, but they are beautiful, bright and light (and my daughters absolutely love them). The small size makes it easy for little hands to use and the range of colours draw children to want to use them. Having your children’s names painted on the paddles is an extra touch that the kids love, and also serves to reduce the chance of ownership disputes! The last item I’ve been using lots this year is the Badger Paddle Sock. This is a stretchy cover for your paddles which is easy to slip on, easy to secure and looks really classy. Conveniently the stretchiness means it will fit a range of different paddle shapes and sizes – I’ve had bent shaft marathon paddles in them, I’ve had my Badgers in them, and I’ve even had whitewater split kayak paddles in them! 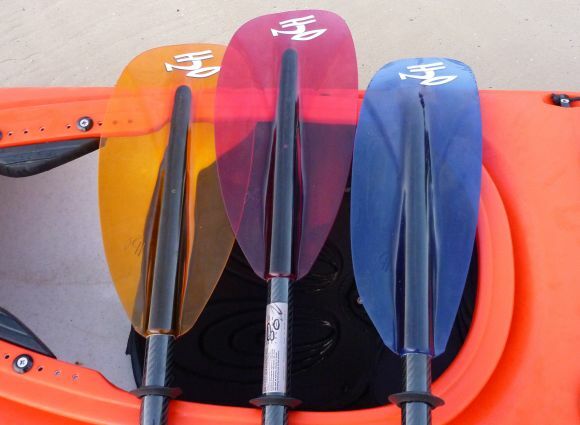 They will shape to almost any paddle you can think of, meaning you can re-use them for whatever flavour of paddling you want to do on any given day. 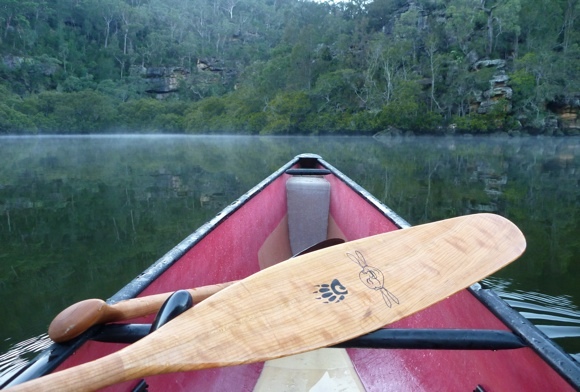 Beautiful paddles, a beautiful boat, and some beautiful wilderness. Love it! love ya work big guy!! !